If you are looking for a brand new memorial to be placed in Woodlands Cemetery then you have come to the right place. Not only do we provide beautiful gravestones for this cemetery, but we can also restore any gravestone in need of an update. • The finest of materials used that are selected by our family, famous in the industry, which is now in its fifth generation. • When material is quarried, it is constantly changing. We therefore personally inspect the quarries on a regular basis. • The material is then shaped and textured by our own skilled craftsmen, men who have spent their whole life working in marble, granite, slate and stone. 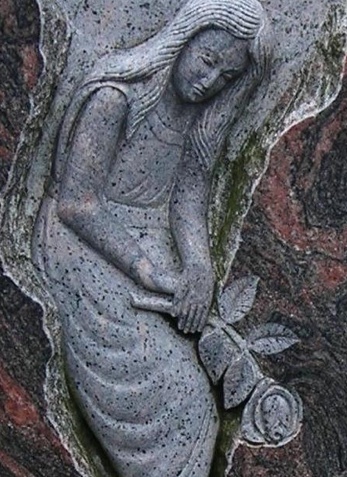 Our memorials, headstones and gravestones can be manufactured where practical in any of the natural materials we offer. Shapes can be changed to your personal choice. The position of vases within bases can be changed, or extra ones added, and we offer a wide choice of lettering styles with our inscription services. 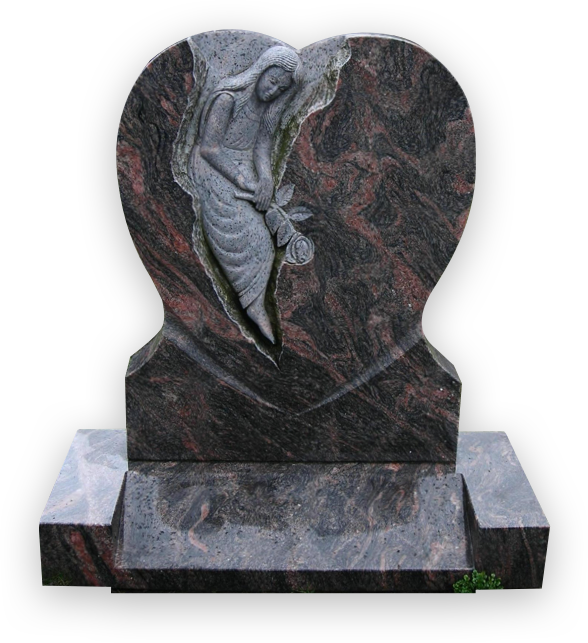 At Bannocks of Solihull we also offer Chinese headstones, designed in a range of shapes and materials. 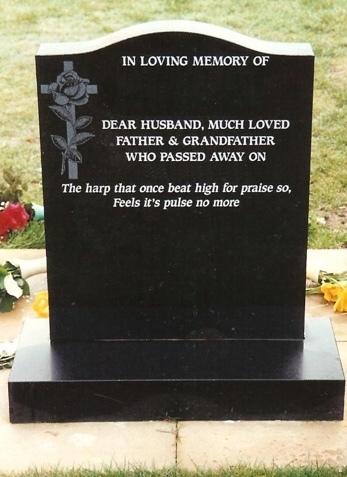 Choose a memorial gravestone or chinese headstone to be forever proud of with Bannocks of Solihull. 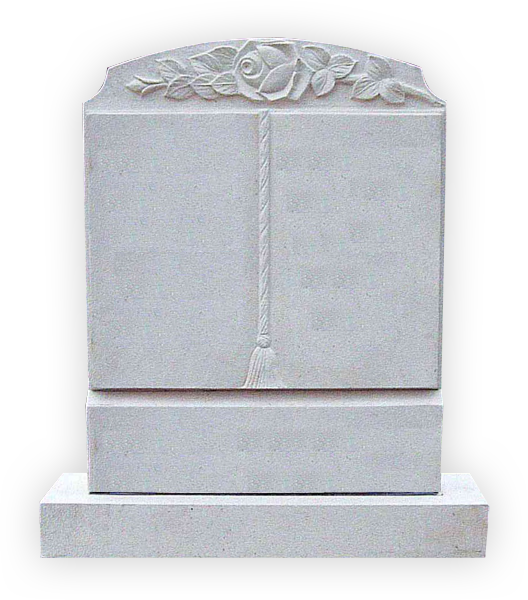 Our memorials are made only in the finest of materials from the British Isles and all continents of the world. 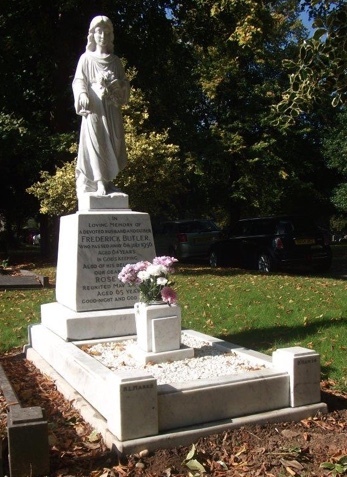 Our memorials are made only in the finest of materials from the British Isles and all continents of the world. They are selected by our family, famous in the industry, which is now in its fifth generation. When material is quarried, it is constantly changing. We therefore, personally inspect the quarries on a regular basis. One thing you can be sure of, we will always buy the best in any material. The material is then shaped and textured by our own skilled craftsmen, men who have spent their whole life working in marble, granite, slate and stone. They have a love for the materials, and a deep pride in their work. We combine the best of tradition and modern technology, being one of the few retailers who manufacture. This careful procedure from beginning to end is why the quality of our workmanship becomes more evident as the memorial matures, and why we guarantee our work. Thank you Darren. The headstone looks great! The young gentleman I dealt with was very helpful and caring he went through all the con and pros of each material and design that I had in mind and spent a lot of time with me. His knowledge was very good at what he was selling, he didn’t try and push me for what he wanted but listened to me so that I could tell him what I liked. Do you have any questions or reservations? Give us a call today and we can put your mind at ease.